You can now get beers that taste like anything — ok, well, mainly bacon, but still, the craft beer market has recently exploded (all over your face in an array of tasty flavors), and Sweet Baby Jesus Chocolate Peanut Butter Porter combines chocolate and peanut butter with booze and is it legal to marry a beer now? 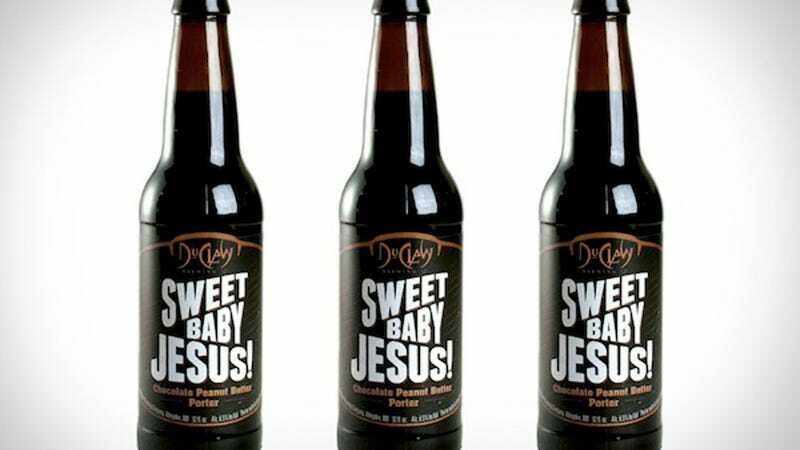 The flavor comes from Maryland-based DuClaw Brewing, and according to Uncrate, it “smells and tastes like a really great Reese Chocolate Peanut Butter Cup”. I know lots of people don't want their beer to taste like quinoa casserole, but not me. The weirder the better — give it here.